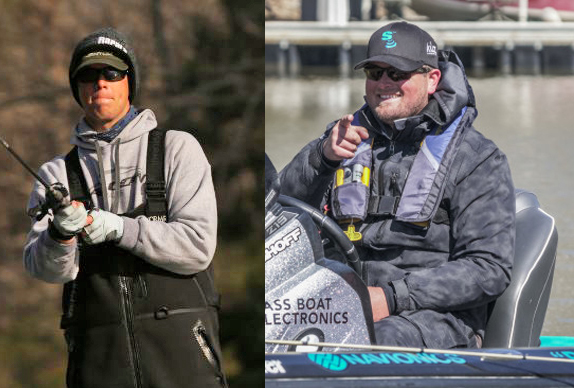 I�ve always considered practice to be the most crucial part of the tournament fishing process. 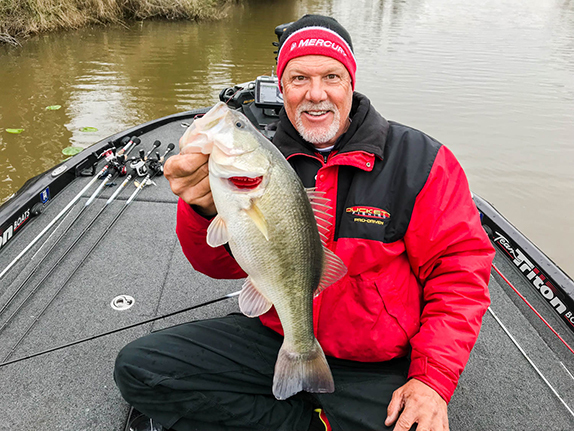 Sure, the tournament is when the rubber meets the road, and when the fish hit the scales, but without a solid practice, getting results in a multi-day event is a tall order, to say the least. I�ve had bad events in the past where the issue was performance and decisions in the tournament itself, but in the case of the recent Bassmaster Eastern Open on the Kissimmee Chain, a poorly executed practice resulted in my 111th-place finish. Since I went to college at the University of Central Florida, the Kissimmee Chain was a regular stop for me and I have a bunch of past experience there, so my confidence going into practice was high. However, the one thing about Florida fishing is that the lakes are in a state of constant change, so getting caught up in the past can be a kiss of death for any strategy that isn�t thoroughly vetted in practice. My relationship with the Kissimmee Chain is defined by periodic flings with certain lakes on the chain. In the beginning I was a Toho man, always staying on the northernmost lake on the system. Then I found myself making the long run to Kissimmee for the majority of my tournaments. Most recently, right before my move to Guntersville, I spent a great deal of time in Cypress and ended up making a bunch of money off this often-overlooked lake. With some great success on Cypress in the past, I had my mind made up before I got to Florida that it was going to be my first stop during practice. Once in Cypress, my past immediately started pulling me to my traditional stomping grounds, and I quickly found fish in shallow bulrushes flipping a Z-Man Palmetto BugZ. The bite was good and very predictable, however, the fish I was catching were mediocre at best. 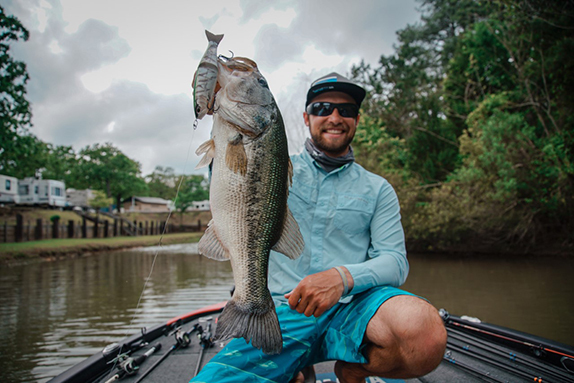 But still, I was intrigued and with a history of positive results fishing in those areas I spent an abnormal amount of time looking for bigger fish, and finally got a bite � a 7-pounder � that made me believe that Cypress had potential. For the rest of practice, I spent my time eliminating Kissimmee and Toho and expanded upon Cypress and also found areas in nearby Hatchineha. The bite was consistent, but the vast majority of my fish were small. However, each day I got a big bite that kept my daily weight around 15 to 17 pounds. Although one of my theories for Florida tournament fishing is to focus on quality first and then find quantity to fill out a limit, I was hooked on my past success and overlooked a mantra that had always served me well in the Sunshine State. In my defense, I thought that my strategy, though inherently flawed, had some potential. With a cold front moving through a couple days prior to the event, I figured my flipping bite for buck bass would remain stable, and then with a warming trend and a full moon during the first days of the event, I felt that the timing might be right for a wave of females to join the smaller males in the bulrushes. On day 1, I was brimming with confidence that my limit would come in short order. So confident, in fact, that when I bumped in to the event photographer, Garrick Dixon, in the lock, I told him if he wanted some fish, I would catch him a few pretty quick. Turns out, that cold front affected the fish in ways I had not anticipated. Even with starting on my best stretch, I was unable to produce a fish for the camera, and long after Garrick moved on to the next angler, I still had not received my first bite running a pattern that had been so predictable. By 10 o'clock I only had one small keeper in the boat, and I knew that adjustments were in order. I ended up running to Hatch and got a little pattern going with a ChatterBait that brought me a small limit worth 7-02. Despite such a dismal bag to start the event, the rest of the field also seemed to experience tough fishing and the weights were surprisingly low for the majority of the anglers, so I knew I had a shot at making a surge up the leaderboard with a decent day 2. My plan going in to the second day was to focus my efforts on Hatch, which set up well for the ChatterBait, and cover water in some key spawning areas on the lake. I caught a fish early on with the ChatterBait, but the bite fell stagnant with the absence of a breeze or cloud cover. I finally found an ultra-shallow water pattern for small buck bass using a jerkbait in less than a foot of water and quickly caught another mediocre limit. Finally, a breeze picked up and I was able to utilize the ChatterBait to cull a couple pounds to finish the day with a pound more than the day before, landing me in 111th place in the 209-boat field. When the dust settled, I knew where I had failed myself, and it had everything to do with a poor practice strategy, which insufficiently prepared me for the cold front, as well as a put me around a size class of fish that made getting lucky for a big bite a key to having a decent day. I know it is a cliche', but I guess all I have to say about my poor result is that it's just how tournament fishing goes sometimes. Though I am, of course, disappointed, and I expected more from myself in a Florida event, I'm going to walk away with new mistakes to help make me a better decision-maker and a stronger competitor in the future.